personA What is this vending machine? personB You buy tickets to order food at this restaurant. You can choose toppings, sides and serving size here. 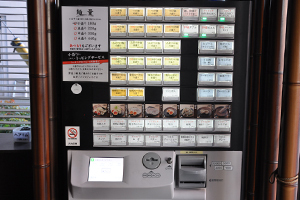 This system is used for many Ramen restaurants nowadays. 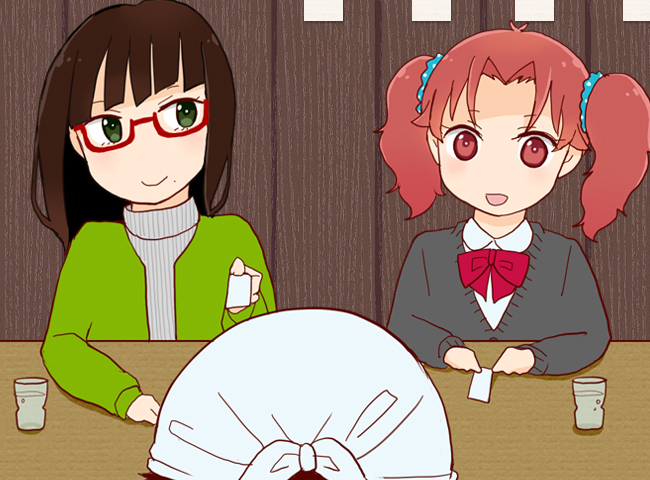 personA Give the tickets to the staff. I'll have Tsukemen (dipping Ramen). personB I'll have Tonkotsu (pork bone broth) Ramen. Oh, so I can choose the firmness of my noodles? OK, I'll go for al dente! 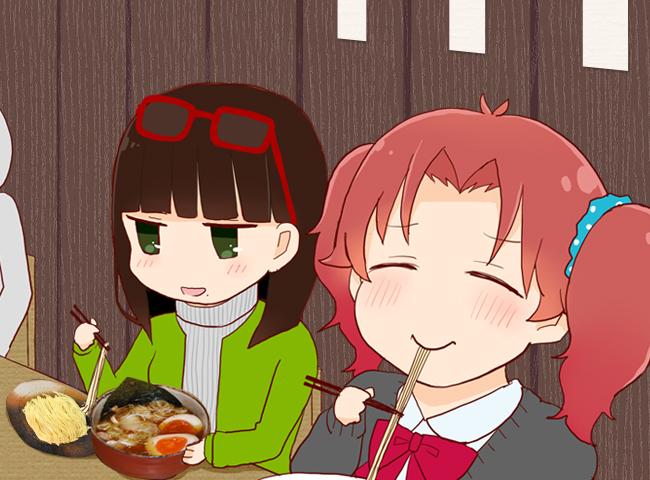 personA Noodles and soup are served separately for Tsukemen. You dip noodles in soup with every bite. personB Hmm, it tastes great when you slurp up noodles! personA It's good to drink up the dipping sauce with some soup added at the end. personB Excuse me. 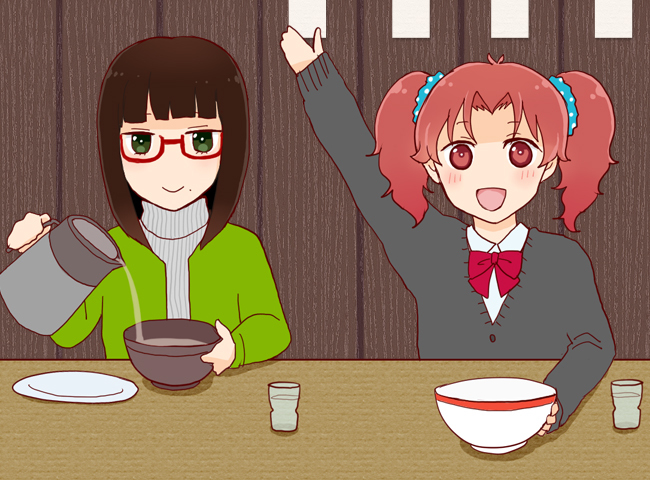 Kaedama (extra noodles), please? There are thousands of Ramen restaurants in Tokyo. 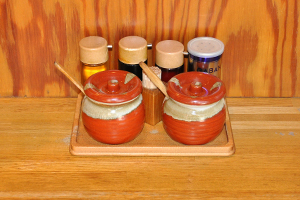 You can enjoy various types of soup flavors such as Shoyu (soy sauce), Miso (fermented bean paste), Shio (salt) and Tonkotsu (pork). 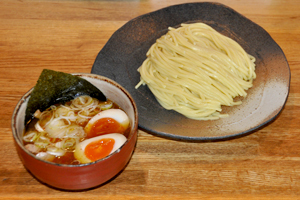 There is also a dish called Tsukemen which noodles and soup are served separately. 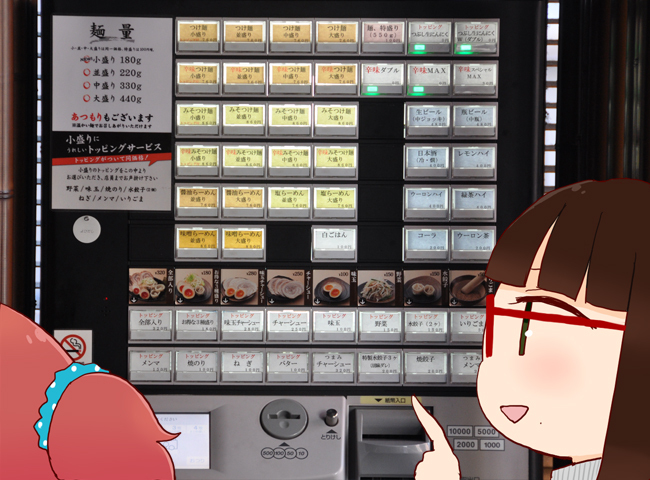 Many Ramen restaurants require customers to buy food tickets beforehand from the vending machine. If you want some toppings, buy tickets for those as well if sold separately. Give tickets to the staff to order. At some restaurants, you can choose the amount and the firmness of noodles or the thickness of the soup. Noodles and soup are hot. Slurp to eat so you do not get burned. The seasonings (garlic, sesame, pepper, etc.) that are prepared on the table are free to add to your ramen if you would like. Do not add too much! For Tsukemen, pick up the bite-size portion of noodles to dip into the soup each time you eat.